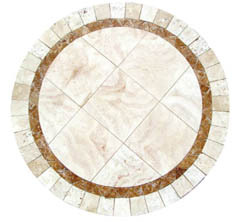 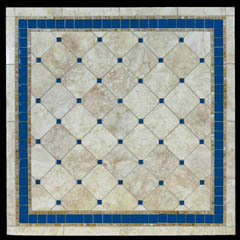 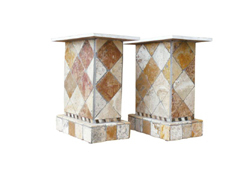 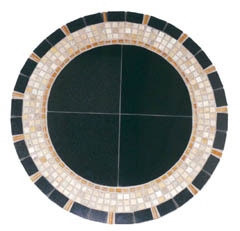 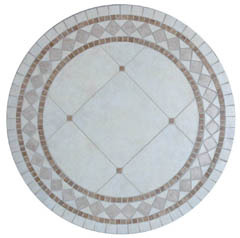 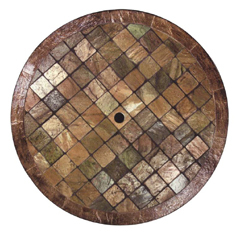 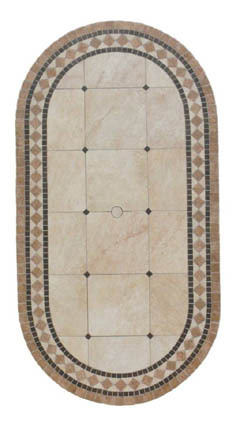 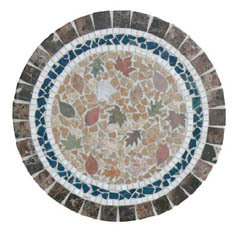 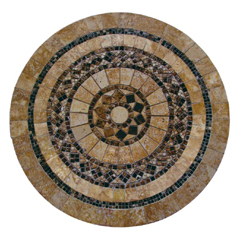 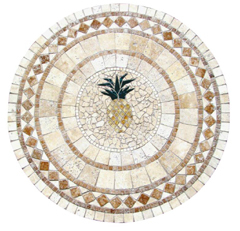 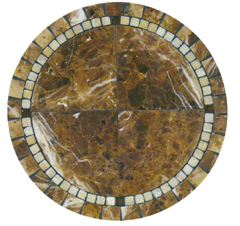 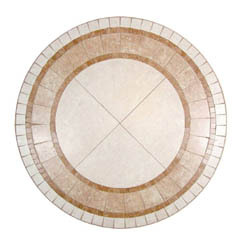 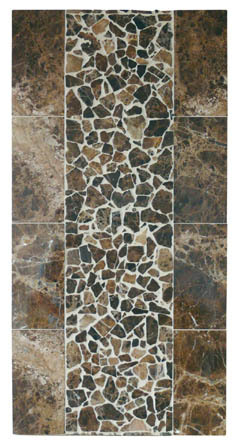 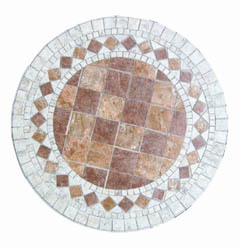 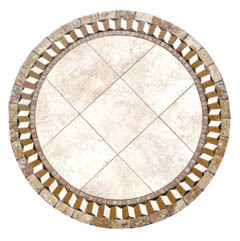 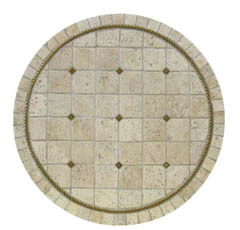 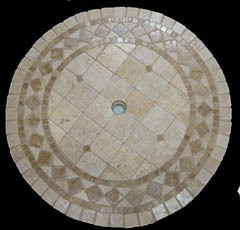 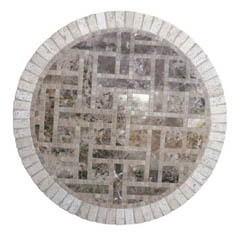 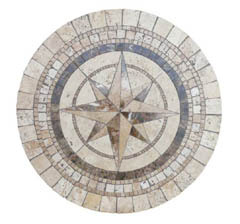 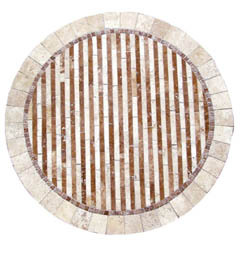 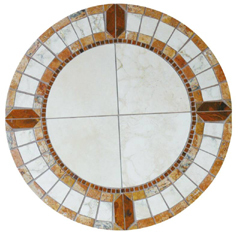 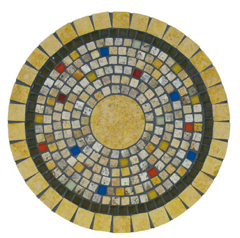 Take a look at the wide variety of natural stone and porcelain coffee table designs that we have below. 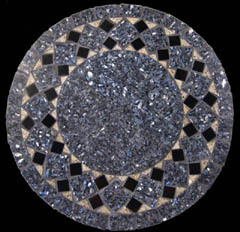 When you find one that you like, click through to find out the multitude of options that are available. 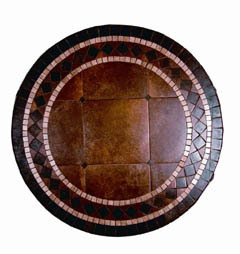 We can craft a custom piece to just about any size and shape that you like, building a coffee table that will be absolutely perfect for your living room or den. 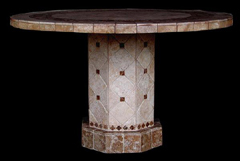 Powerful copper gold tones shimmer across the surface of these impressive natural stone tables, creating an interplay of matched colors, with each tiny square bearing its own unique face, its own demeanor, its own personality which matches and contrasts with the others to create a beautiful shimmering view. 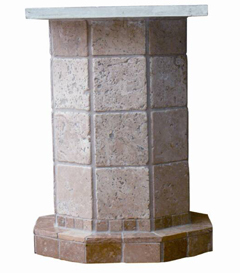 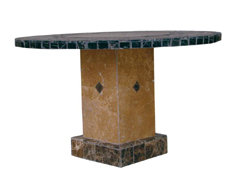 Our entire collection of natural stone tables is crafted using an ultra light weight core that allows us to craft pieces which still have the beauty of natural stone, but not the tremendous weight making it easier to position these tables in a living room or den. 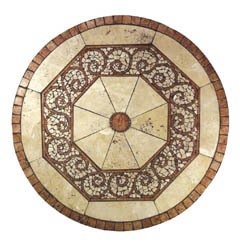 The beauty found within the surface of this porcelain coffee table top, can be crafted into a piece which is virtually any size and shape that you need, allowing you to completely customize the perfect table for your home. 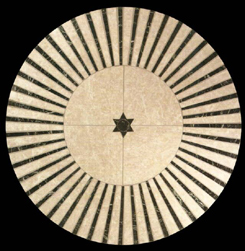 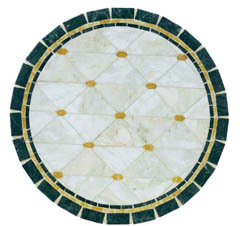 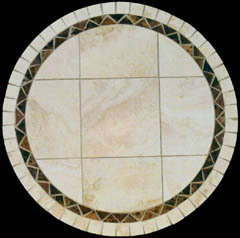 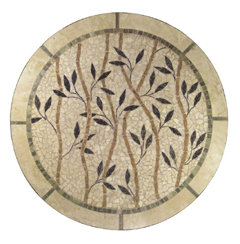 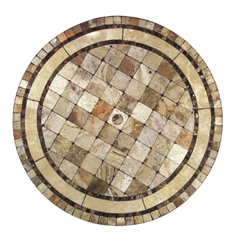 The surface of this stone coffee table is an exotic mix of off white hues and bright golden medallions, bordered with a ring of green that contrasts sharply with the interior of the pieces face. 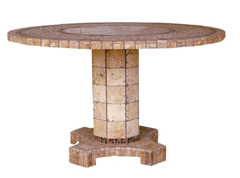 Blue and gray contrasting tones wash across the surface of these attractive natural stone tables, creating an interplay of interest that gives the piece a lively demeanor.